Are you trying to figure out the best way to create your book outline? Ever wish you could gain a little insight into how other authors work through their outlines? Ever since writing my book Outlining Your Novel, I’ve gotten all kinds of requests from authors who want to see a full example of what my outlining process looks like. Outlining Your Novel contained excerpts, of course, but my full outlines are book-sized in themselves and simply weren’t practical for inclusion at the time. But now, here’s what you’ve been asking for! I’ve been waiting until after the publication of my dieselpunk/historical novel Storming to share with you its complete outline transcription. 1. It’s relatively linear and cohesive, so should make decent sense. 2. It includes a more recent look at my ever-evolving approach to story structure and character arcs. 3. It’s very similar to the story you find in the published book. Before you read the book outline transcript, let me say the obvious: spoilers! What you’re going to be reading is pretty much the entire story, which means you’re going to know everything that happens in the plot after reading it. That’s caveat number one: don’t read the outline if you want to be surprised by the book! Caveat number two is: read the book first anyway. 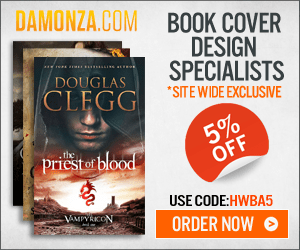 I say that not just because I really, really want you to read my book (of course! ), but also because the random nature of the outline itself will make way more sense if you already have an overview of the actual story. You’ll also be able to recognize the places in which the finished book ended up evolving beyond the outline, for any number of reasons. I write my outlines longhand in a notebook, so what you’re going to be reading is obviously a transcription. In the notebook, I use a color-coded highlighting system to help me organize my notes. Green: These are questions: things I wanted to return to in the outline and explore in further depth. Yellow: These are “keepers”—plot points and other information on which I was putting the stamp of approval for future reference. Orange: I call these “orange notes,” and they’re simply odds and ends of approved info that won’t go into the actual plot outline, but which I want to keep for future reference. They’re often world-building or thematic notes. Blue: These are the “official” outline notes. Anything highlighted in blue will be transcribed in full into my abbreviated outline in Scrivener. Pink: This means “move.” Whenever something ends up being written out of chronological order, I highlight it in pink and indicate whether it should be moved up or down in the outline, with another pink marker to show where it should end up. 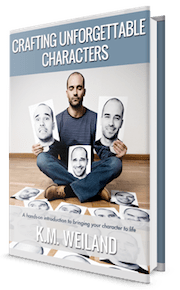 You can find the complete list of questions I use for my character interviews in the Outlining Your Novel Workbook as well as the Outlining Your Novel Workbook software. For world building, I use Patricia C. Wrede’s incredibly comprehensive Fantasy Worldbuilding Questions. I’ve tried to keep the text as close to the original—mistakes, random punctuation, et al.—just so you can get the sense of my creative flow. However, there are bound to be a few weird typos that slipped through (I used Dragon Naturally Speaking to transcribe the text), so please forgive any you may run across. I hope you find this glimpse into my creative process both interesting and useful. And I hope you enjoy both the outline and the book itself, which, by the way, you can learn more about by clicking right here. Note: If you’re already a subscriber, not to worry, this won’t cause you to receive double the emails. The site will recognize you as an existing subscriber and automatically redirect you to the download page. Once you get there, be sure to scroll down: the outline transcript is the second book offered. Wordplayers, tell me your opinion! Are you an outliner or pantser? What has been your experience writing your own book outline? Tell me in the comments! Rats! No spoilers for me! I should be finished with Storming today so I download the outline later. You even did a book cover for it. Well, bless your hide Ms Weiland. I used to dabble in design before I ruined my wrists. It was fun to throw something together for this project. It’s funny you mention wrists because mine have gone bad. Currently wear some light wrist supports. Bummer. You use Naturally speaking though right? It would be nice to read your outline for Storming right after I finish the book. Great timing! An ergonomic keyboard has helped me a lot too. I only use Dragon Naturally speaking for transcribing. This is awesome! Thanks for sharing it. I like outlining, but mine’s so loose I don’t know if you could call it one. 😉 I work out the plot points for the first draft, and then I’ll go into whatever details I need once I have either the first or the second draft all cleaned up. So the plot points are my only real outline. I do have a good idea of what I want everything (and everyone) to be, though, when I start writing. The plot points are the important part! For me outlining is more a process of discovering the story in general than anything else. But structure, in it itself, is an outline–and the most important kind of an outline. Awesome!! I am just starting to work on my detailed outline (after writing a “discovery draft” based on a loose outline), so this will be a great help. A full pre-writing outline may not be quite the process that works for me, but my lawyer side loves a beautifully organized outline, especially for assessing whether the overall structure works. Let me stress that the example I’m providing here of how I do things isn’t one I’m saying everyone should follow to the letter. Although this in-depth process is obviously the one I find most useful, I also know it’s not for everyone. So just take the example as that: an example. And glean from it whatever is useful. That makes perfect sense! But I do so helpful (and interesting) to get ideas from how other people do things. I’ve discovered that while I’m definitely not a classic pantser (I could never start without a sense of the overall shape of the story), I struggle with thinking through the actual details unless I’m typing them up in a frenzy. But I’m way too analytical not to want to fit the details into an outline once I’ve pulled them out of the haze. That’s more or less my approach. My “haze” part is early “sketches” part of the outline though. What if your already subscribed? Will it start send me the emails twice if I type it in to get the download? Nope, you’ll only get one email. If you’re already subscribed, the page should automatically redirect you to the download page, where you can grab the outline transcript (scroll down: it’s the second book download on the page). Hah! I decided late last year to consider outlining and I had downloaded the one you made for Scrivener (I also have your Outlining Workbook). I had Patricia Wrede’s questions sitting on my desktop and added it into your outline (the version I had downloaded has a more abbreviated form). I’ve admitted to myself that part of why I’ve taken so long with my project is that I stopped along the way to answer various questions brought up by Viau and Wrede. I think my old teacher was right, most cases of writer’s block are mainly the result of insufficient planning. In my case it’s the research that holds me up. I’ve always been a hybrid planner/pantser, but I need to take the planning part more seriously. -Quick note – you may get an unsubscribe from me because I used the wrong email address when I downloaded the Storming outline. I already subscribe to your newsletter, just at a different address than the one I gave just now. Just letting you know in case you track analytics for this. Thanks for sharing the World Builder site. Looks good! Outlining is the only way I can work. I also story board. Thanks for the outline to Storming. I am looking forward to your book on the Character Arc. Thank you! I’m so glad you enjoyed Storming. Dieselpunk is a subgenre of steampunk. Basically, steampunk features modern technology that is steam-powered and set in the Victorian era. Dieselpunk is similar but set in between the World Wars–hence, the biplane! Very cool idea. I think reading the book before the outline is a great way to “reverse engineer” what a good outline should look like. This is great! I am looking forward to reading the book. At the moment I am reading Stephen King’s “On Writing: A Memoir of the Craft” and in it he states that he doesn’t use an outline at all for his books but lets the story evolve from the character development. That’s not how I write my own books. I’m an outliner. But I just wondered what your view of King’s approach is. Is it possible to produce a competent first draft without an outline, or does it depend on the kind of novel you are writing? I love King, don’t get me wrong: the man’s brilliant. But, frankly, I think his non-outline approach is totally evident in his sprawling, meandering plots. I haven’t read much of King, but I think you’re right about the lack of planning producing sprawling plots. And I also think that a writer makes things very difficult for him- or herself when it comes to editing the first draft of the book: too many loose ends, to many plots strands begun but discontinued, and usually too many minor characters to cut out because they turned out to be not that important to the main thrust after all. I’ve also noticed with writers who don’t outline that often the ending comes rather abruptly and there isn’t a satisfying sense of closure. Ultimately, I think authors better serve their readers by producing a tightly plotted, well-planned story and, to date, the only way I’ve managed to achieve anything like that has been through outlining. I haven’t read much of King either but I do have a question. I’m a quite a newb so bear with me. I’m assuming the general consensus is to make an outline. It’s probably the traditional way and works for most people. But I’m wondering someone like King doesn’t need to worry about his plotting necessarily because he’s already an established author? If that works for him and it sells does it really matter in the end? I’m not trying to play devil’s advocate, but asking a question. Or is it that King is so brilliant he’s one of the rare birds that can be successful without ever outlining? To me that is fascinating. I wouldn’t try it as a new writer, but it seems very interesting. Maybe my real question is how do you really know what works for you as a writer? How do you know what your process is? Having that AHA moment when the light bulb manifests itself over your head. It’s all about discovering what works for us right? I’m not a planner by any means, but I’ll learn the outlining/structuring method first and see how it goes. Completely winging it doesn’t sound very appealing either. Even for me. Anyone else have any thoughts on this? This would be another great subject for a post! Discovering your writing process, I can see the headlines. KM thanks for making your outline available for us. Benjamin, I think you’re probably right about King. I reckon that, since he’s a well-known author, his publisher is probably reluctant to tell him to revamp his entire book if it gets sidetracked or the plot strays away from the main action. Who knows? One thing that I think is probably true, though, is that without an outline you tend to get longer books, partly because the author can find difficulty in detecting an ending. Of course, longer books are exactly the sort of thing that people buy in airports and going on vacation. I’ve tried “pantsing” and outlining before with novels and I certainly found outlining to work better for me in terms of having a coherent plot that comes to a natural end when the story’s finished. 1. Can most of the rest of us get away with some of the things (including massive, meandering plots) that King does? Absolutely not. 2. Does he “get away” with this stuff simply because he’s arguably the most famous living author on the face of the planet? Yes, that may well play a part. But I definitely don’t think it’s as simple as that. The man *is* brilliant. His concepts, characters, and writing are all magnificent. Readers are more than willing (and justified in doing so) to forgive his flaws in exchange for experiencing his strengths. In short, I think this aspect of his writing is a prime example of the one “rule” of writing: Don’t break any of the rules–unless you can break them brilliantly. Then be brilliant. As for Benjamin’s query about figuring out *what* is the right process for you, I admit there’s no cut-and-dried answer to this. I find it’s largely a gut feeling, which is something only the individual author himself can identify. Generally speaking, when something is working, you just know it. This isn’t to say the process still isn’t hard. Outlining *is* hard. It’s a lot of work, and I admit there are days when I just want to dish it and go write. But I’ve learned through trial and error that I write my best work and *have the most fun doing it* when I have the foundation of an outline. Otherwise, I dive into a draft and it feels like I’m trying to swim upstream: there’s a lot of resistance. So I’d say that if you’re feeling a lot of resistance to any part of the process, that’s a sign it may not be the right thing to do to maximize your creativity at that point. Just keep trying stuff and experimenting until you find exactly the process that fits. THANK YOU! I have been wishing for something like this. You’re the best! Well, cool beans. Glad it’s coming a good time for you! Your work ethic is unbelievable! Thank you for the outline of Storming. My pleasure! I hope you find it interesting and useful. Why have I not seen this post???? I’m almost a year late getting here but I intend to finish Storming once and for all so I can get my hands on this beauty. @[email protected] I’ve been wondering if we’d see a full outline of yours at some point, and this makes my writer heart just geek out. Bless you for transcribing it and color-coding it for us–I’m sure that was a project in and of itself! Thank you so much for sharing this outline! Very generous. Few writers ever share their process, not in a tangible way. Should I start my novel process with outlining or structuring..? I roughly know the events and characters, but I really need to sit down and put more work in the planning. 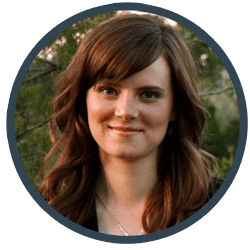 It all goes hand in hand, but as I talk about in this series on outlining, outlining needs to involve a lot of general brainstorming before you’re ready to actually start structuring your story:How to Outline Your Novel.